Get a $50 gift voucher for only $25! Good towards tee times and the golf shop at Grand Ridge Golf Club. 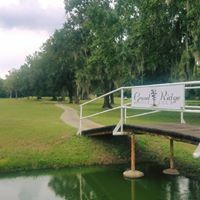 Grand Ridge Golf Club is located in Luling, LA. Enjoy the relaxed atmosphere on the fairways lined with moss-covered Cypress and Ancient Oak trees. 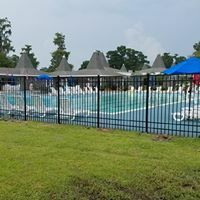 Memberships and weekly specials are available. 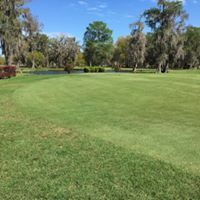 Carved out of the swamplands of St. Charles Parish lays the challenging par 72, 18-hole Grand Ridge Golf Club, with 10 holes guarded by water to excite golfers of all levels. The tree lined course places a premium on accurate tee shots, to be well positioned in our Bermuda grass fairways. Our Greens are also Bermuda and are well known for a "nice roll". After your round of golf in wonderland enjoy a beverage of your choice while relaxing with a beautiful view and serene surroundings of our golf course. Golfing at Grand Ridge is the only sport compatible with uninterrupted, relaxed conversation. Regardless of skill or athletic level, golfing at Grand Ridge is the equalizer among sport choices. You can enjoy all of this 6 days a week at Grand Ridge, our hidden jewel in the Cypress. Good on tee times/golf shop only.